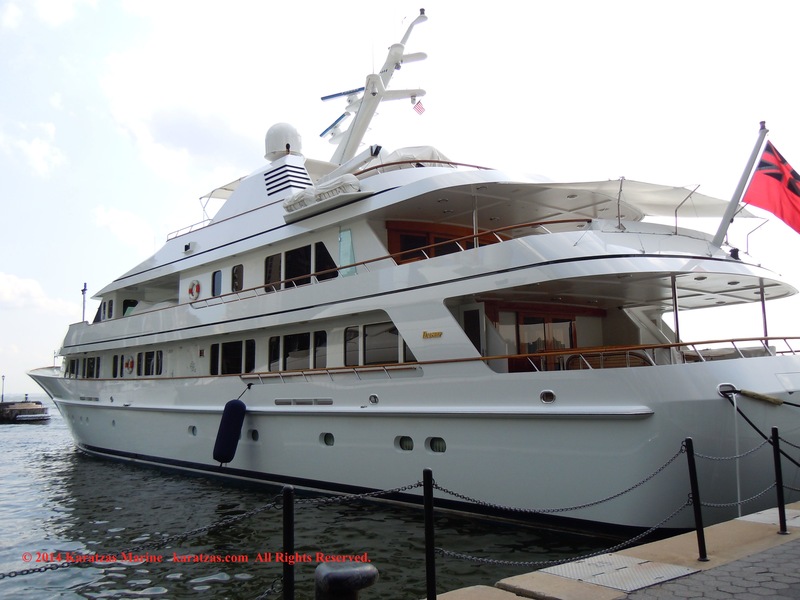 M/Y ‘Rasselas’ is a 62m motor yacht, custom built in 2005 by Feadship in Aalsmeer (Netherlands). This classic superyacht can trace her ancestry to a number of iconic boats such as Paraffin and Gallant Lady, as well as her earlier namesake, also built for the same American owner. 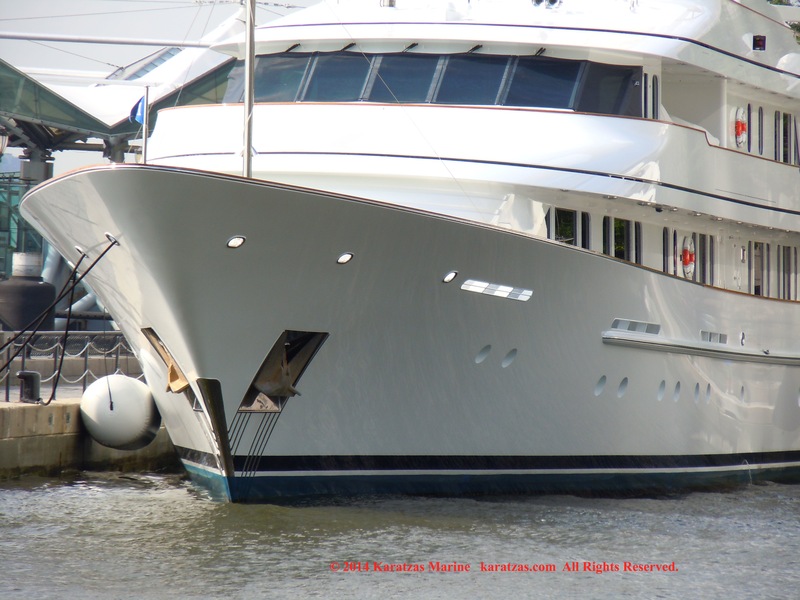 The vessel’s sophisticated exterior design and engineering are the work of De Voogt Naval Architects. 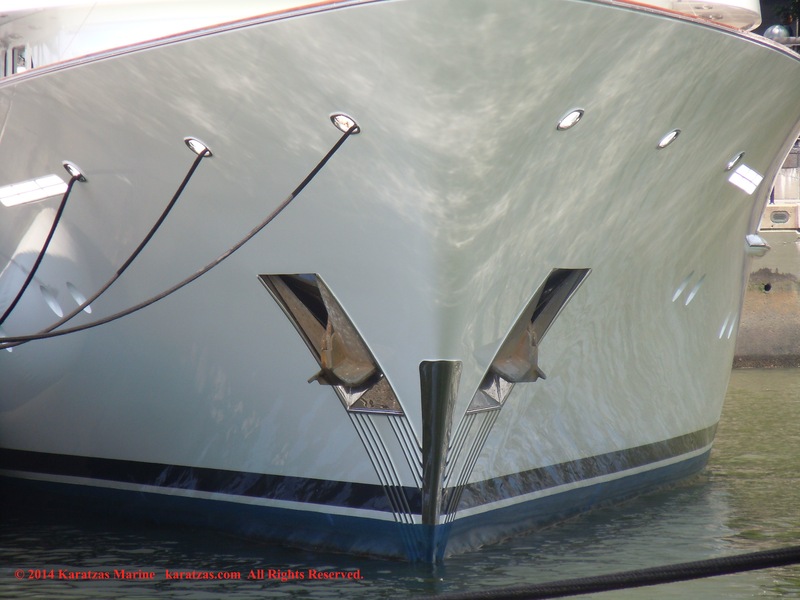 Her designers, De Voogt, placed special emphasis on creating an extraordinary top deck and outer areas for the yacht. 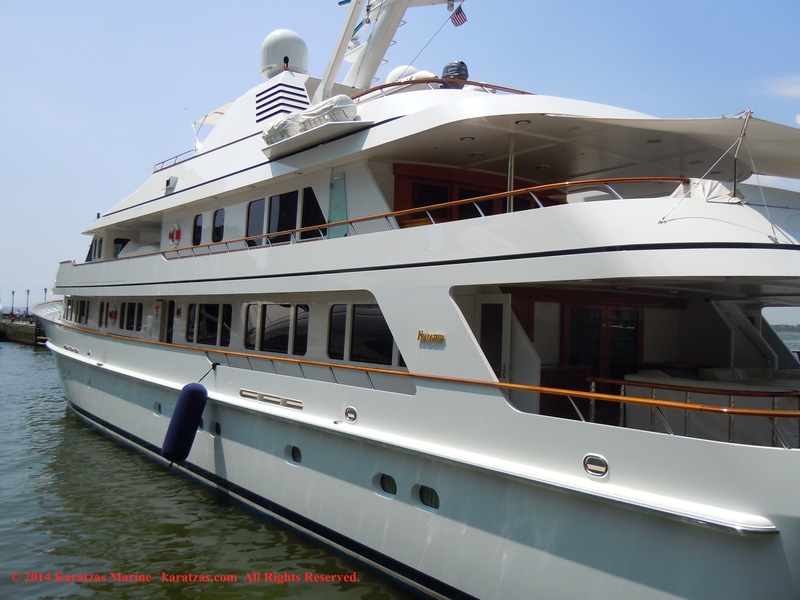 With a classic mahogany interior she is one of the last major yachts with an interior made from this tropical wood. 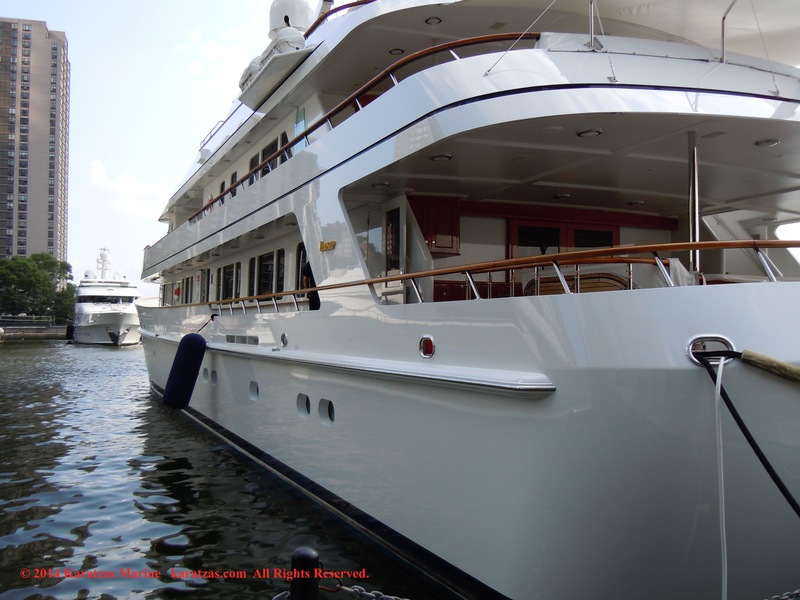 Rasselas yacht has a steel hull with a aluminum superstructure with a beam of 10.70m (35’1″ft) and a 3.50m (11’5″ft) draft . Performance + Capabilities: MY ‘Rasselas’ has a cruising speed of 13.00 knots, max speed of 16.00 knots and a range of 5000.00 nm. from her 138,000.00l. fuel tanks. A powerful propulsion package of twin 2,000hp Caterpillar engines gives her a cruising speed of 14 knots and she tops out at 16 knots. Accommodations: M/Y ‘Rasselas’ offers accommodation for up to 14 guests in 6 suits comprising 1 owner cabin, 3 double cabins, 2 twin cabins. 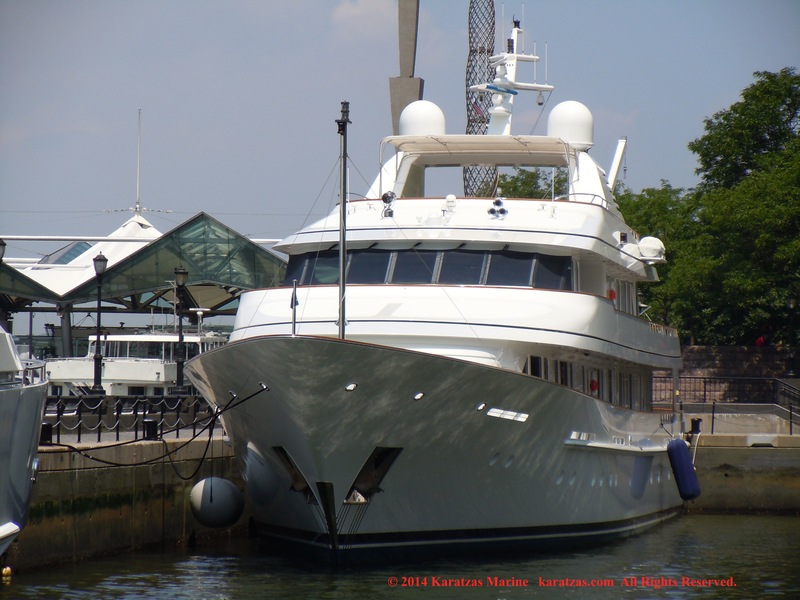 She is also capable of carrying up to 19 crew onboard to ensure a relaxed luxury yacht experience. M/Y ‘Rasselas’ was sold in June 2014 when she was in the market with an asking price $57.5 million; she’s to renamed M/Y ‘Positive Carry’ by her new owner, who intends to cruise her around the world. Both seller and buyer were US-based entrepreneurs. 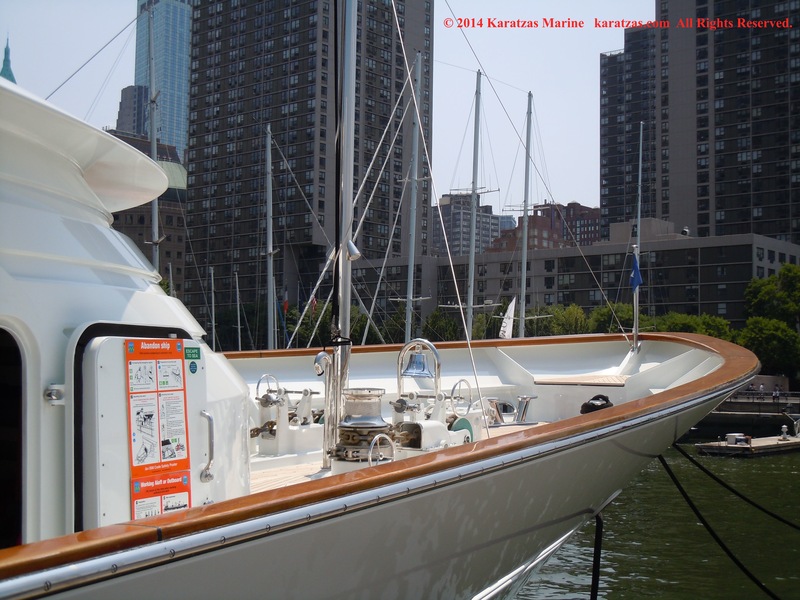 The images of M/Y “Rasselas’ were taken at North Cove in Lower Manhattan, in late July 2014. 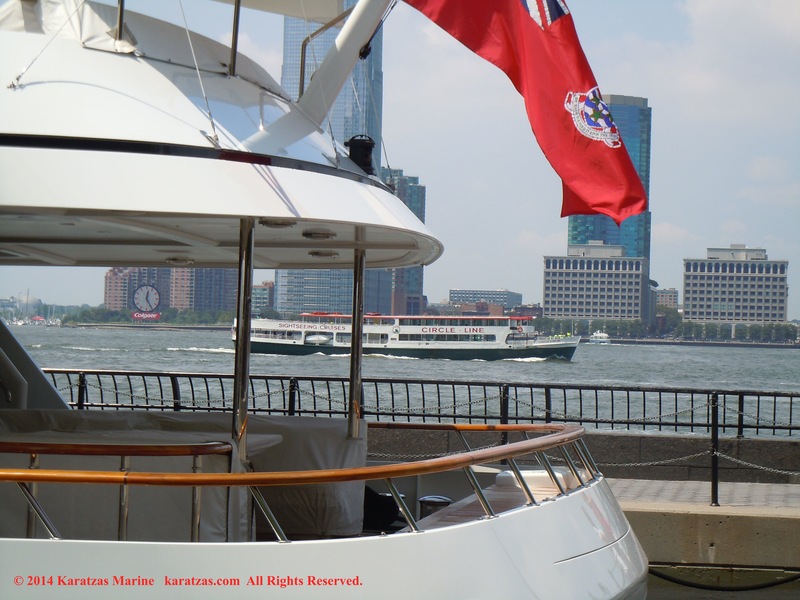 North Cove is within a minute’s stroll from the offices of Karatzas Marine Advisors at One World Financial Center, which building can be seen in the background in a couple of the pictures posted herewith. 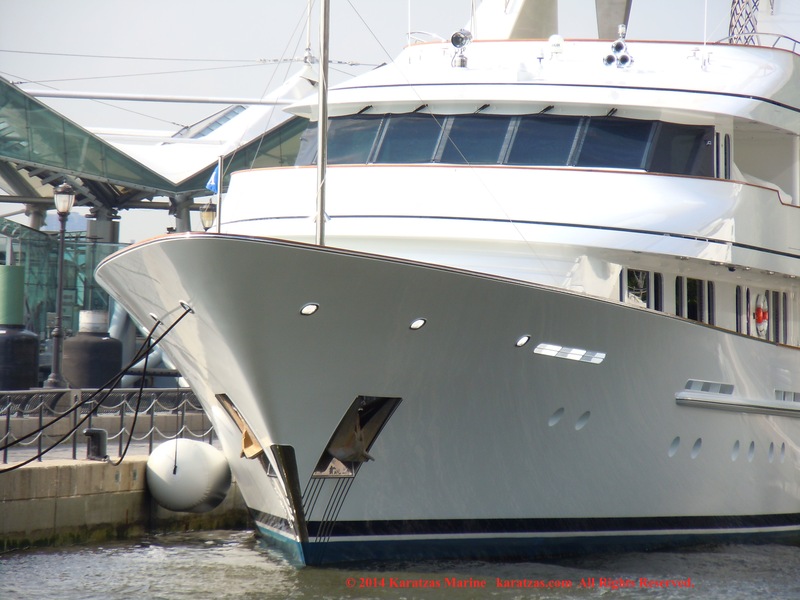 Superyacht ‘Rasselas’ (to be renamed ‘Positive Carry’) docked at North Cove in Lower Manhattan in July 2014. 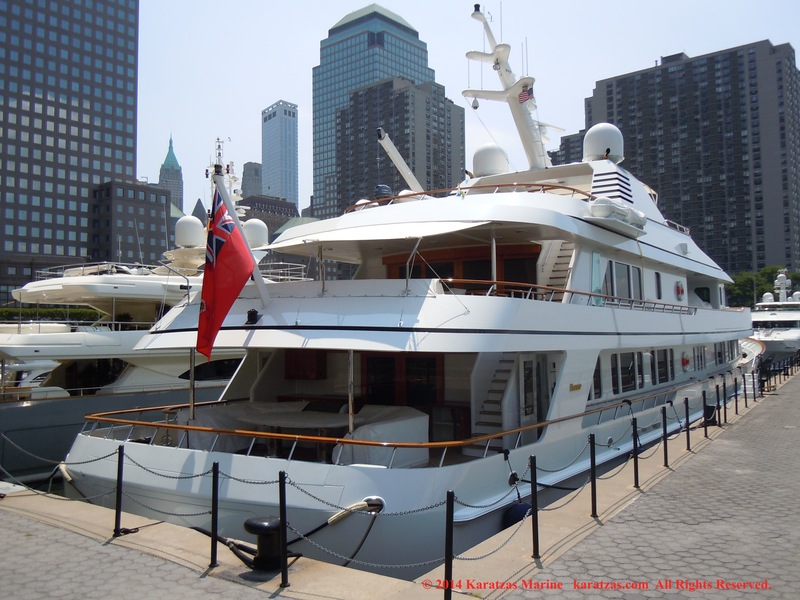 Stylish and classic superyacht ‘Rasselas’ (to be renamed ‘Positive Carry’) docked at North Cove in Lower Manhattan in July 2014. Beautiful lines! 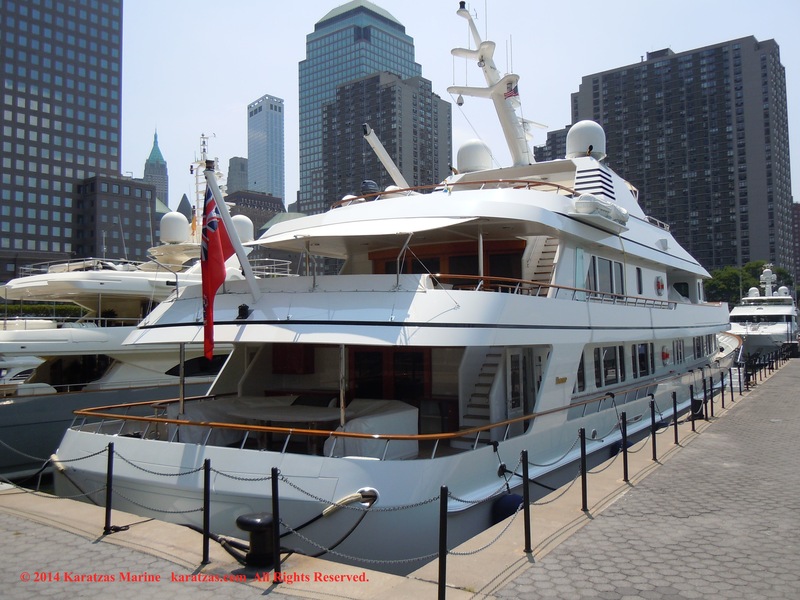 Stylish and classic superyacht ‘Rasselas’ (to be renamed ‘Positive Carry’) docked at North Cove in Lower Manhattan in July 2014. 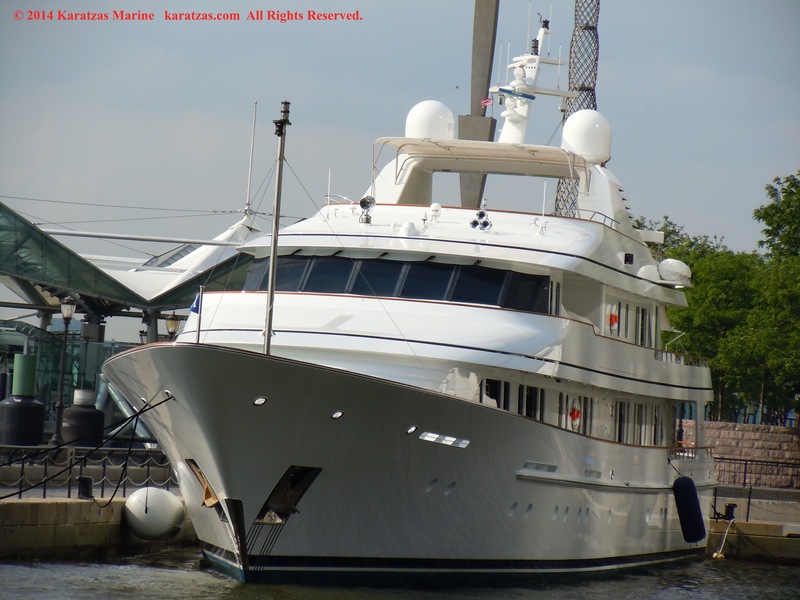 Stylish and classic superyacht ‘Rasselas’ (to be renamed ‘Positive Carry’) docked at North Cove in Lower Manhattan in July 2014. Hudson River traffic in the background!